Updates on important new for the Crew of the Neptune. 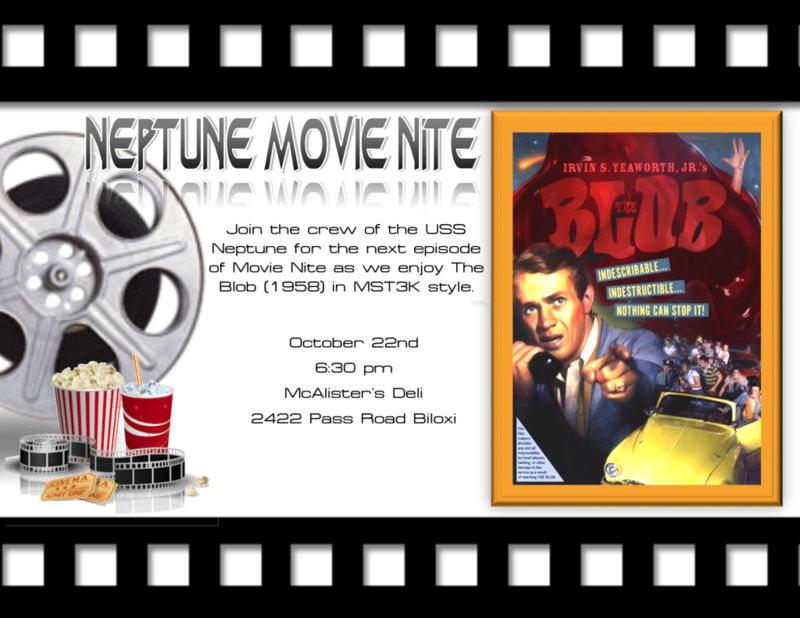 Join the crew of the USS Neptune for the Second Episode of Neptune Movie Nite. Join us for some classic movie trailers and our feature presentation of The Blob. But we wont just be watching the movie we will be part of the movie as we present our own commentary MST3K style. It is a night at the movie you wont want to miss. Come out and join the fun! When: Wednesday, October 22nd at 6:30 pm. 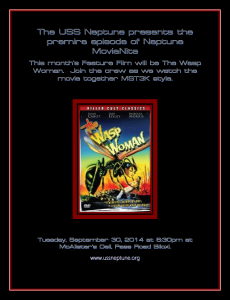 Join the crew of the USS Neptune for the Premier of Neptune MovieNite. 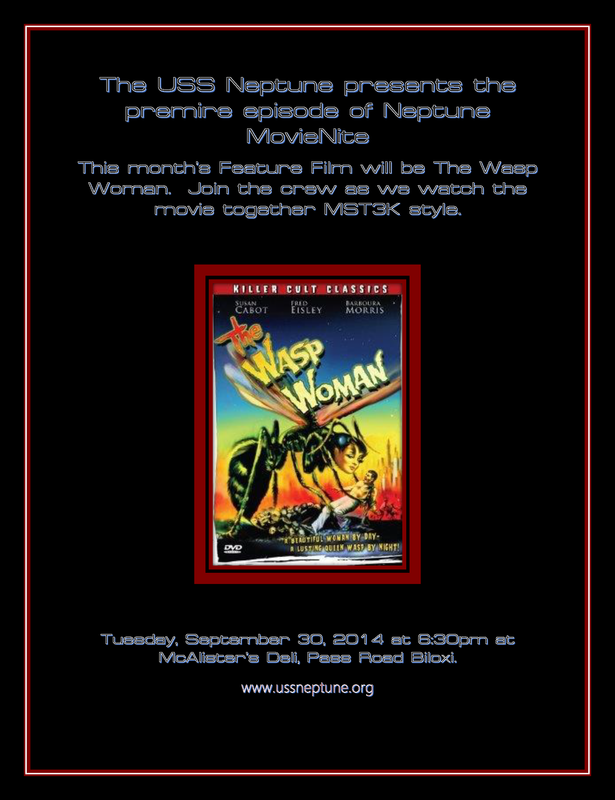 Join us for some classic movie trailers and our feature presentation of The Wasp Woman. But we wont just be watching the movie we will be part of the movie as we present our own commentary MST3K style. It is a night at the movie you wont want to miss. When: Tuesday, September 30th at 6:30 pm.